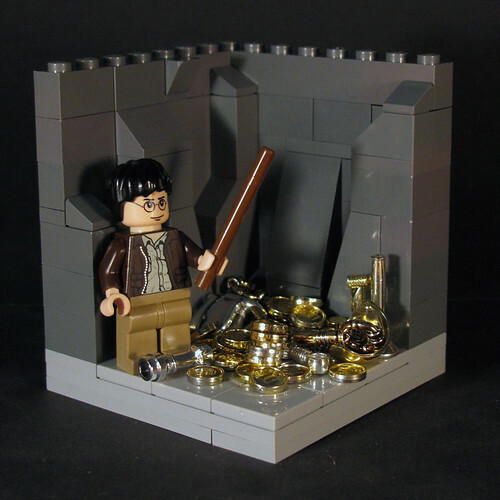 Following Day 3 in our celebration of LEGO and Harry Potter leading up to the 7th Harry Potter movie this coming Friday, Harry Potter and the Deathly Hallows Part, here are a couple of scenes/MOCs that will definitely be in the movie. This scene captures Ron’s return in the 19th chapter of the Deathly Hallows, The Silver Doe. 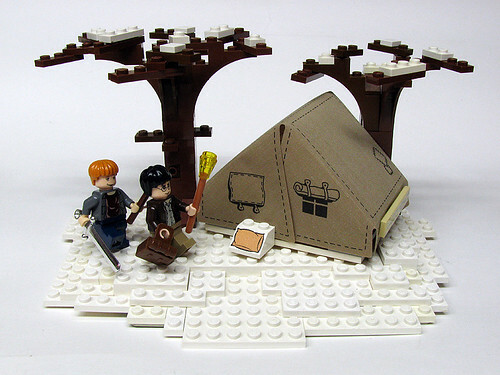 It’s one of my favourite chapters of all the books, so I thought of making it in LEGO. I still love to read the intense things going on like Ron destroying to horcrux and Hermoine going mad. For more angles of this scene, see Matn’s Matn’s Brickshelf set. Click on the images for larger versions at flickr.